Use my code “eats-gs9p8” and download the Uber Eats App. you will get $5 off using my code. 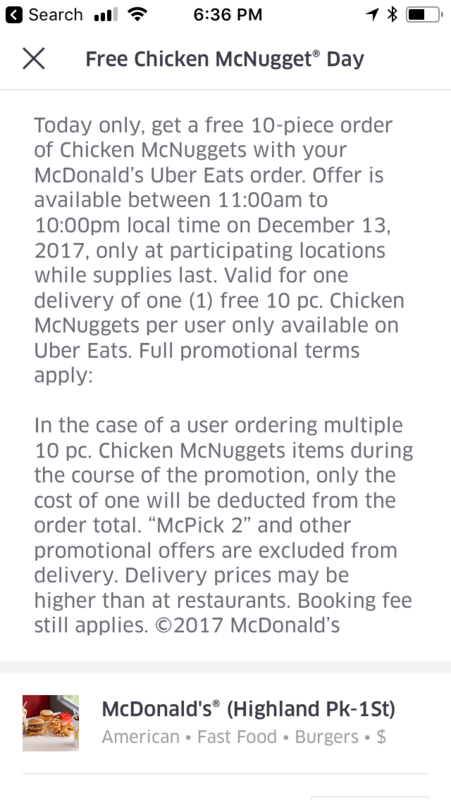 Just click the banner to get the free McNuggets and the $5 delivery fee will come off my credit or the $35 from your AmEx Credit for December.